Fall is filled with traditions in the making. 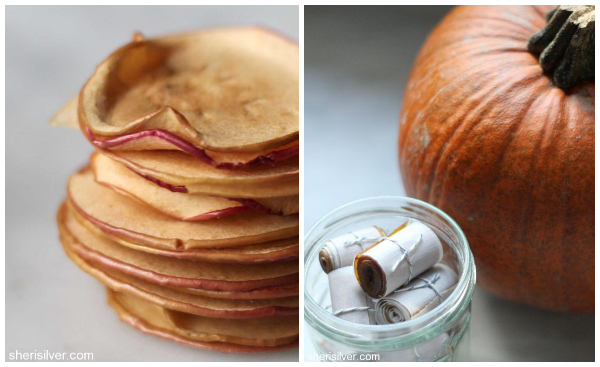 It's a leaf jumping, cider sipping and apple baking time of year. If you've ever wondered what else you could make with your delicious apple bounty, you've come to the right place. 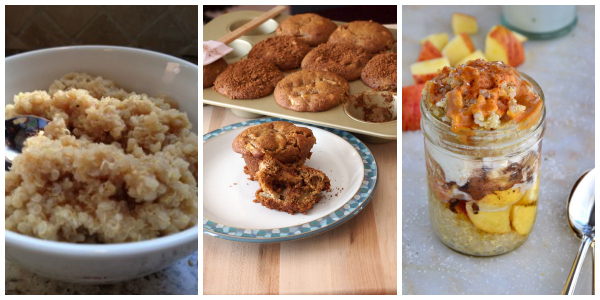 Food bloggers share their go-to apple recipes, and they're absolutely divine. Bake, enjoy, share and repeat. It's the coziest way to spend the season! Lauren Kelly is a nutritionist, food blogger and cookbook author of The Everything Wheat-Free Diet Cookbook and the soon to be released, The Greek Yogurt Cookbook. Her perfect apple recipe is Apple Gingerbread Quinoa, a healthy, filling and scrumptious way to start the day! Laura Dembowski is the writer and food blogger behind Pies and Plots. Her go-to apple recipe is Biscoff Stuffed Apple Muffins. Laura says, "These giant, soft muffins are full of shredded apples and studded with pecans and have a surprise molten center of Biscoff. Breakfast will never be the same!" Amie Valpone is the editor-in-chief of The Healthy Apple, a blog dedicated to gluten-free, dairy-free and soy-free clean eating. Amie's amazing apple recipe is a Warm Almond Quinoa Breakfast Sundae, a healthy way to start the day that tastes like you're eating dessert for breakfast! Gina Rau blogs at Feed Our Families which is a resource for parents to create real meals that are healthy, quick, easy and kid-loved. 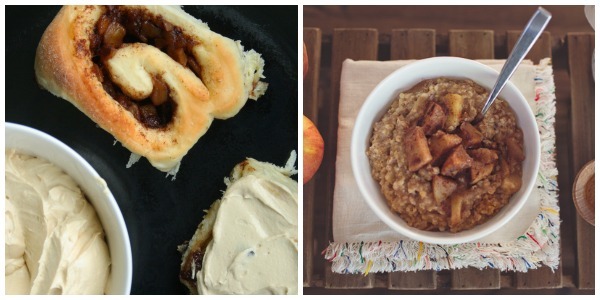 Her apple recipe is Slow Cooker Spiced Apple Steel Cut Oats. Gina says, "Kids who don't even like oatmeal love this breakfast thanks to the spices and creamy texture. I love knowing that they're starting their day off right and I can prepare it the night before! I put some in a pretty glass jar with a splash of milk for me to take to the office. Everyone is happy." Nancy Seto of Gotta Get Baked is a West Coast Canuck who's a baker at heart. Her breakfast recipe, apple style, is Caramel Apple Cinnamon Rolls. These rolls start with a buttermilk cinnamon roll recipe and are filled with cinnamon apple goodness. They're topped with caramel cream cheese frosting. We'll take two, please. Utokia Langley's food blog is She's Got Flavor and her apple recipe is an Apple Raspberry Croissant, an indulgent weekend treat perfect for a slow weekend breakfast. Kelly Davis blogs at Foodie Fresh, a blog about staying fresh with healthy eating, fitness and style. Her scrumptious apple recipe is Spiced Apple Chunk Muffins. Kelly says, "Chunky apples make this low-fat, whole grain muffin recipe absolutely delicious!" Deanna Segrave-Daly, R.D., is a food-loving dietitian and co-blogger at Teaspoon of Spice. Her unique apple recipe is Ginger Pear Applesauce. Deanna says, "Make your own applesauce that has a big gingery kick and tastes divine in less than 30 minutes!" Laura Bashar is a former graphic designer and now a stay-at-home mom of three letting her creative side roam free in the kitchen and behind the camera. Her healthy apple recipe is Sugar-Free Strawberry Applesauce. Laura says, "Summer meets fall in this kid-friendly blend of apples and strawberries." Pamela Braun is the blogger behind My Man's Belly, where she cooks by the mantra that the best way to anyone's heart is still through their stomach. Her comforting apple recipe is Crockpot Applesauce. Pamela says, "This is one of those great money saving foods you can make at home and requires no more work than jumping into your car and standing in line at the grocery store!" Serena Ball is a food-loving dietitian and co-blogger at Teaspoon of Spice. 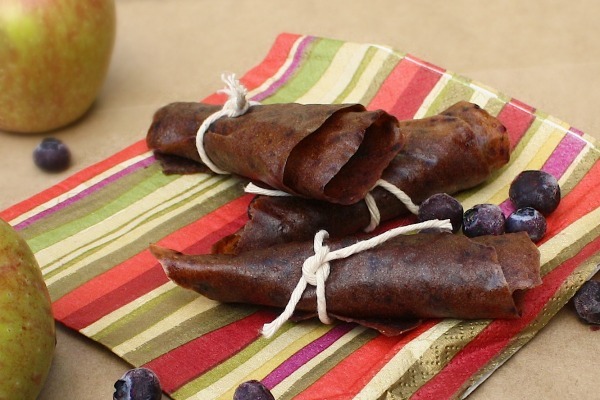 Her clever apple recipe is Apple Blueberry Fruit Leather. 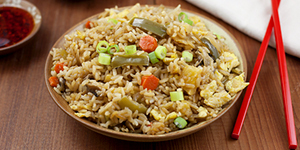 Serena says, "This is an easy snack to make for back-to-school lunches and afternoon snacks!" Sheri Silver is a lifestyle writer and “expert mom,” writing about cooking and baking, gardening, parenting and her adventures in and around NYC! 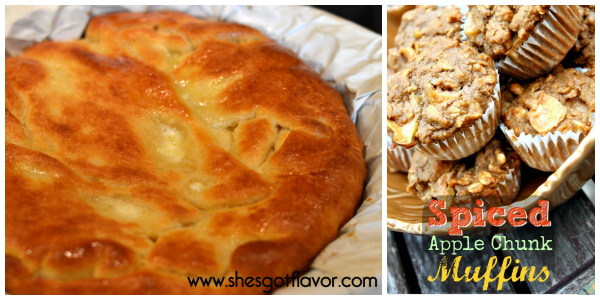 Sheri has two go-to apple recipes. First, Baked Apple Chips which Sheri says are a “chip” you can feel good about. Sheri says, "These baked chips are a one-ingredient wonder, and turn apples into portable — and irresistible — snacks that your kids will love!" And second, are her Apple-Pumpkin Fruit Roll-ups which Sheri says are a healthy take on fruit snacks! Sheri says, "Fruit snacks get healthy, using apple and pumpkin purees (and some time in the oven!)."